It may not be considered "real" pot, but synthetic marijuana may cause real health problems. A new report shows synthetic pot sent 11,406 people to the emergency room in 2010. The number pales in comparison to the 461,028 people who went to the ER for marijuana-related causes in 2010, but it's still a large number that's concerning officials. One-third of the people who went to the hospital for synthetic marijuana were between the ages of 12 to 17. Another 35 percent were individuals aged 18 to 24. Synthetic weed blamed for "very severe bleeding"
"It's not an epidemic," Rear Admiral Peter Delany, director of SAMHSA's Center for Behavioral Health Statistics and Quality, told HealthDay. "But it's a growing problem. And people need to be thinking about it, and how we're going to deal with it." The statistics were released by Drug Abuse Warning Network (DAWN), a federal government program that is part of Substance Abuse and Mental Health Services Administration (SAMHSA). 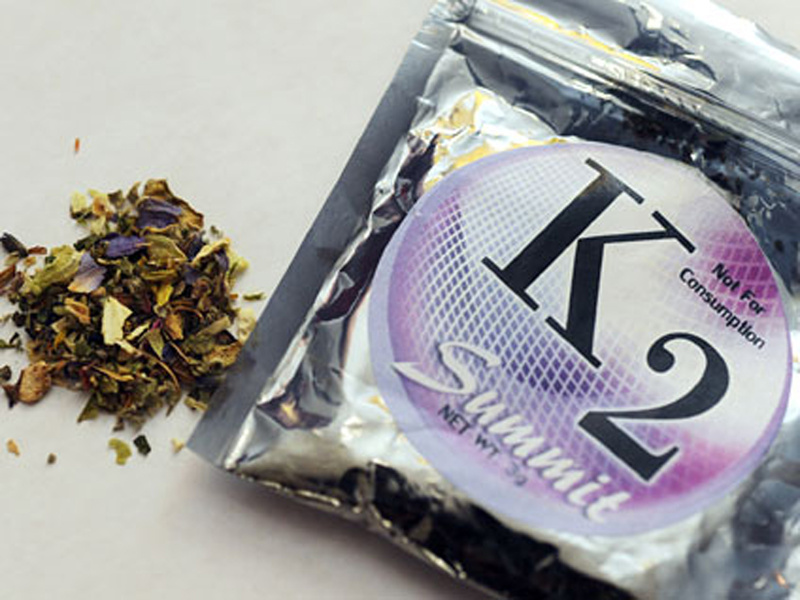 Synthetic marijuana -- sold under many names including the K2 and Spice brands -- is typically a blend of herbal mixtures that when consumed create effects similar to cannabis, according to the National Institute on Drug Abuse. They are labeled "not for human consumption," but people often buy them for their psychoactive effects. Though they are made from plant material, synthetic marijuana also is sprayed with "designer" synthetic cannabinoid compounds. Synthetic marijuana first came to the U.S. in 2008 and was readily sold in gas stations, but most of the active chemicals used in the mix have now been labeled a Schedule I drug by the DEA. Thirty-eight states have banned the sale of synthetic marijuana, and the Food and Drug Administration banned wholesale purchases of the product in 2012. In 2011, high school seniors who took the 2011 Monitoring the Future survey reported synthetic marijuana was their second-most used illicit drug, with 11.4 percent admitting to using it in the previous year. Marijuana was the No. 1 used drug with 36.4 percent of high school seniors admitting to using it. The new report showed that in 59 percent of the emergency room cases, synthetic marijuana was the only drug found in the person's system. Only 36 percent of the cases were in conjunction with another substance. Typically, patients who seek medical care because of using illicit drugs have more than one substance in their system. The majority of ER patients were men, at 78 percent. Most of the patients were discharged directly from the ER, with less that 25 percent necessitating follow-up care. "Certainly in the context of other forms of drug abuse, the numbers they show here related to synthetic marijuana are nowhere near the numbers associated with, say, painkillers," Dr. Adam Bisaga, a professor of psychiatry at Columbia University and an addiction psychiatrist with the New York State Psychiatric Institute, said to HealthDay. "But with something sold as part of a 'spice package' you might think you're smoking herbs. And they're not herbs. You're not smoking tea or oregano. These are chemicals that are synthesized from scratch to act on the same receptors in the brain as real marijuana. But they are just pure chemicals, with no quality control and with the real potential to be toxic."